Prominent & Leading Wholesale Distributor from New Delhi, we offer industrial cross cut shredder with hopper and industrial cross cut shredder. We are a prominent distributor, wholesaler, trader, and supplier of Industrial Cross Cut Shredder. Our vendors professionals design this shredder by making use of top grade components and sophisticated technology in adherence with market standards. Our offered shredder is checked by vendors quality controllers in numerous parameters of quality for supplying defect free range at client's end. We offer quality range of Industrial Cross Cut Shredder, which are manufactured using superior quality material, procured from reliable vendor. These are highly acknowledged for its high resolution, low power consumption and exceptional performance features and finds wide applications in various industries. Available in various shapes and sizes, our range of Industrial Cross Cut Shredder Products can also be custom made as per the detailed descriptions, given by the clients. 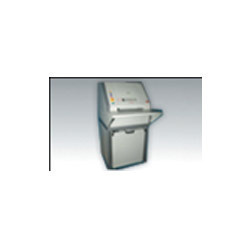 Looking for Industrial Cross Cut Shredder ?